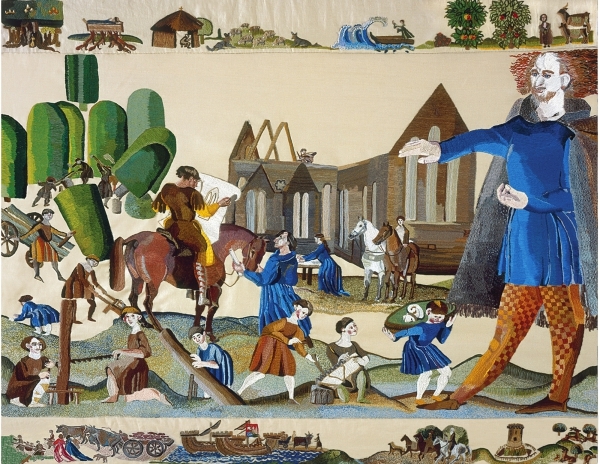 William Marshal’s achievements in developing the Lordship of Leinster, establishing Kilkenny as its seat, and securing the future of his dynasty were not won without being fraught with difficulties. The most gruelling of these was Meilyr FitzHenry. 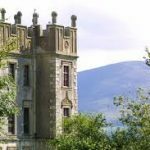 FitzHenry had arrived in Ireland with the first Norman conquerors, and as his name suggests, was a grandson of Henry I through one of the King’s illegitimate sons. He was, therefore, a cousin of King John who appointed him Justiciar of Ireland in 1199. FitzHenry was grasping, avaricious and deeply unpopular with most of the Norman lords, primarily De Lacy. It is clear that Meilyr FitzHenry regarded William Marshal as a threat to his power base. He was determined to get rid of him, and with King John, ‘plotted his downfall’, (Asbridge). John recalled Marshal in 1207, ostensibly to resolve matters between him and Meilyr FitzHenry. With Marshal safely out of the country, FitzHenry ordered the burning of New Ross and the attack on Kilkenny and other of the Marshal estates. 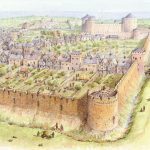 Using his diplomatic skills learned from long years at court, William managed to survive FitzHenry’s assault, and Marshal’s wife, Isabel de Clare, successfully defended Kilkenny, captured FitzHenry, took his hostages, and began the rebuilding of New Ross. 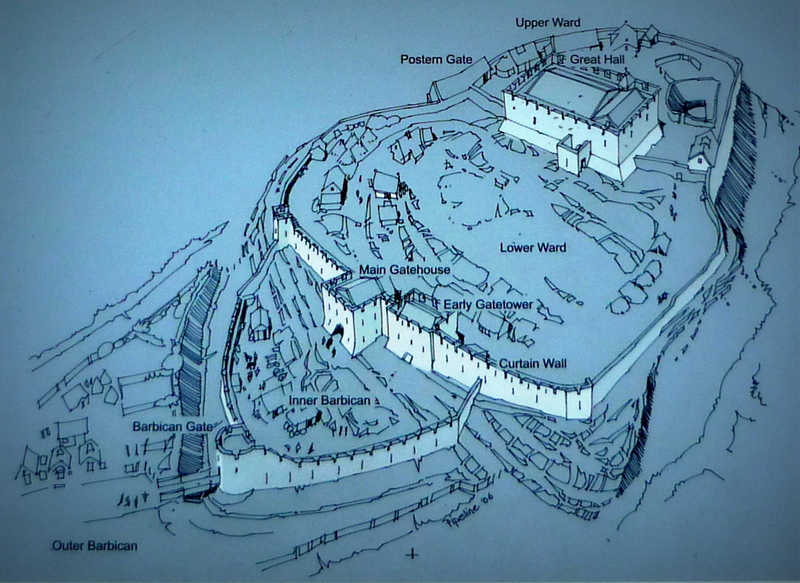 Meilyr FitzHenry was relieved of the Justiciary, forced to give up Dunamase Castle and live the rest of his life in relative obscurity. William Marshal was more than a warrior and champion of the tourney circuit. He was an experienced diplomat, a statesman, The Greatest Knight Who Ever Lived. Asbridge, Thomas, The Greatest Knight (London: Simon & Schuster Uk Ltd., 2015) p. 301. Crouch, David ‘Marshal, William (I)’ Oxford Dictionary of National Biography. Ed. H.C.G. Matthew and Brian Harrison (Oxford: Oxford University Press, 2004) p. 822. 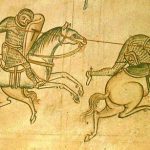 Many people question why William Marshal waited until the eleventh hour of his life before pledging himself to the Knights Templar rather than taking full vows when he was serving with the Templars on crusade between 1184 and 1186. First, it was not uncommon for men and women, especially those of high status, to take religious vows towards the end of their lives, to enter monasteries or nunneries, or, in the case of women to become Vowesses. Such commitment to God eased the path to heaven. Second, the mysteriously undocumented years that he spent on crusade may provide possible and intriguing answers to the question of William Marshal’s late taking of Templar vows. Henry II’s son, the Young King Henry, had sworn to go on crusade in order to atone for his sacking of Rocamadour. Almost immediately following this infamous act, he became ill with dysentery. While dying, and before he could fulfill his vow, he charged William Marshal with completing the task by bequeathing him his cloak emblazoned with the Crusader Cross. Marshal consented to the dying King’s wish and traveled, as a secular knight, to Syria early in 1184. While on crusade, it was common for secular knights to join the Templars on a temporary basis, submitting to the disciplined rule of the Order, without taking the austere, permanent vows of the Templar monks. 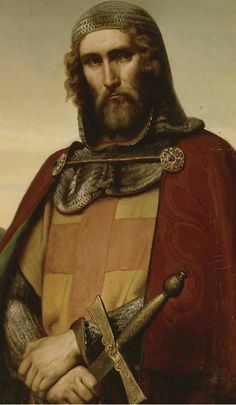 William Marshal pledged that he would take his full Templar vows before he died and in the meantime he served with the Templars for two years, fighting for the ailing King Baldwin IV of Jerusalem. 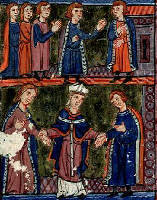 In 1185, King Baldwin IV died of Leprosy, but not before decreeing that if his heir and nephew died without issue, the Pope, Henry II, and Philip II of France, were to collaborate in choosing a successor. Baldwin’s nephew did indeed succeed to the throne as King Baldwin V, but was unfortunately sickly and died soon after his succession. His mother, Sybilla, usurped the throne, crowning herself Queen and her husband, Guy de Lusignan, King. Guy de Lusignan was one of, if not the, de Lusignan, who had killed William Marshal’s uncle, Patrick Earl of Salisbury, in March 1168 in a shamefully un-chivalrous act of murder. While not wearing armour or bearing arms, Patrick of Salisbury was speared in the back by the de Lusignans. William Marshal was wounded in the fracas, and ill-treated by the de Lusignans while being held hostage until he was ransomed by Eleanor of Aquitaine. There was therefore no love lost between William Marshal and Guy de Lusignan, and the usurpation of the throne of Jerusalem must have greatly offended his sense of honour. Further, the Grand Marshal of the Templars had died in 1184 and had been replaced by a follower of Guy de Lusignan. 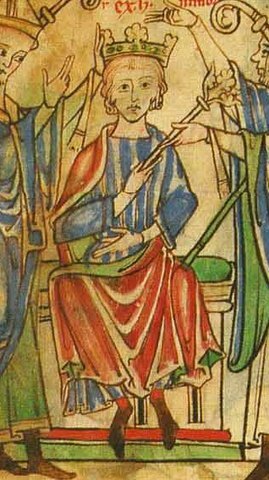 Shortly after de Lusignan’s coronation in 1186, William Marshal returned to France having fulfilled his promise to his late King. Thus, although it is possible that Marshal simply did not wish to commit to the austere vows of chastity and poverty of the Templar monks, his probable disillusionment by the replacement of the Grand Marshal with a de Lusignan man cannot be overlooked. 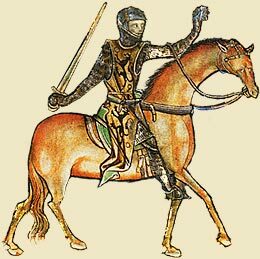 Most importantly, an honourable man such as William Marshal, could hardly be expected, as he would have been as a Templar Knight, to defend to the death, Guy de Lusignan, the dishonourable usurper of the throne of Jerusalem, the man who had murdered his uncle, Patrick Earl of Salisbury. It is possibly for the above reasons that it was not until he lay dying at Caversham in 1219, that his friend Aimery de St. Maur, Master of the Temple in England, received into the Order of the Knights Templar, William Marshal, The Greatest Knight Who Ever Lived.